Year on year, game by game, the same debate remains - what is the best football game available for consoles? As has been the case for a long time now, the debate centres on the two most popular versions of ‘simulated soccer’. 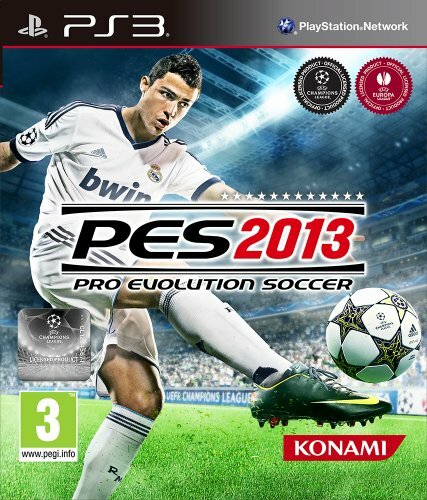 These two games are of course Konami’s Pro Evolution Soccer 2013 (PES 13) and EA Sports’ FIFA 2013. Opinion is as divided as it choosing who is better out of Lionel Messi and Cristiano Ronaldo, each has its respective merits and drawbacks. If you’re stuck trying to decide which game to buy, then this article will help weigh up the pros and cons of FIFA 13 vs. PES 13 and try to help you pick which is the best football game. FIFA has been the dominant force in football games for a good number of years now, and the release of its latest edition is a strong reminder of this. The usual slick interface allied with an excellent music selection and the majority of licenses, FIFA 13 has the same professional feel that PES lacks somewhat. In terms of new additions to the game play, the big improvement is the First Touch Control (FTC). No longer can your bumbling keeper take under control a bullet back pass with the touch of Dimitar Berbatov; the FTC generates a more realistic feel to the game which is also helped by the enhancement of off the ball A.I. Whilst the commentary may be repetitive – having played for a few days you will know many of the sayings off by heart – many fans will find the role of touchline reporter Geoff Shreeves amusing as he pops up to give an assessment on an injured player. Konami’s latest instalment provides the best challenge to the FIFA dominance in many a year. One area that has seen greater development is in the gameplay. The Full Control system has been introduced which gives the user seemingly ultimate control over much of the play – fully manual shooting as well as passing allows for you to feel much more in charge of a game once you’ve learnt the ropes. In fact, I would argue that the overall gameplay is slightly better and more enjoyable than that of FIFA’s, something I would not have said in the past. Comparing the two graphically is a dead heat, with both sides creating players that look more realistic than the other games attempt. If you have decided which you think is the best football game, then you can find both titles available for purchase at Amazon. Great read! Will forward your article who can use your info. Thumbs Up! Pes did improve, but fifa it's getting too close to reality and so far from the pes experience.We can't even compare them, fifa is a lot ahead.